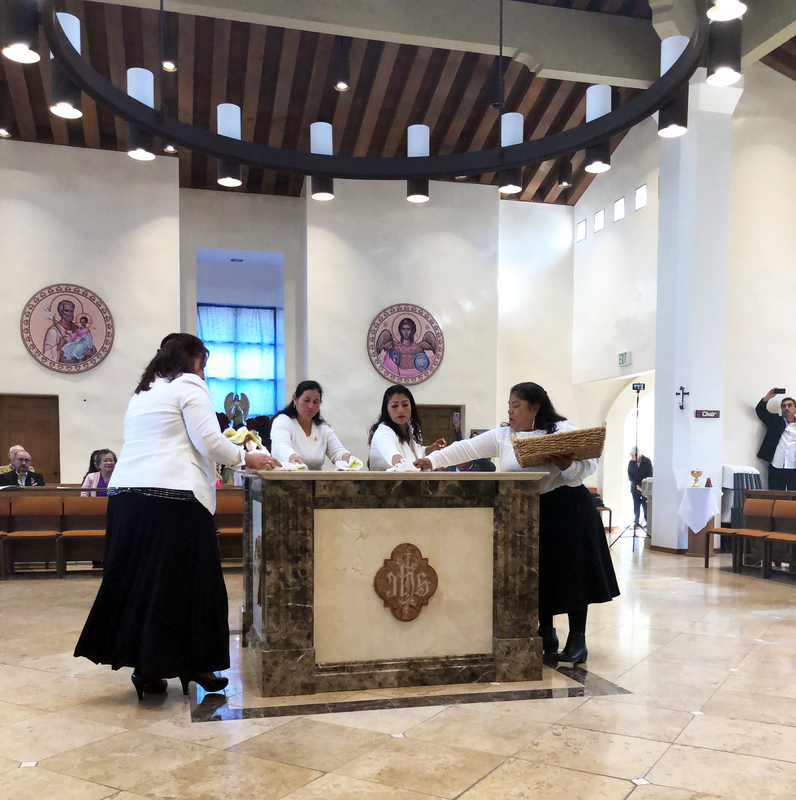 It all started with the plans of fixing the slanted tabernacle wall table, and while wanting it to match the rest of the chapel, the friars had to admit that nothing matched because the main altar, ambo and other furniture in the chapel were brought to Oxnard from different houses the Recollects had in the past. We needed to harmonize our place of prayer and give it more visual dignity for God’s worship. 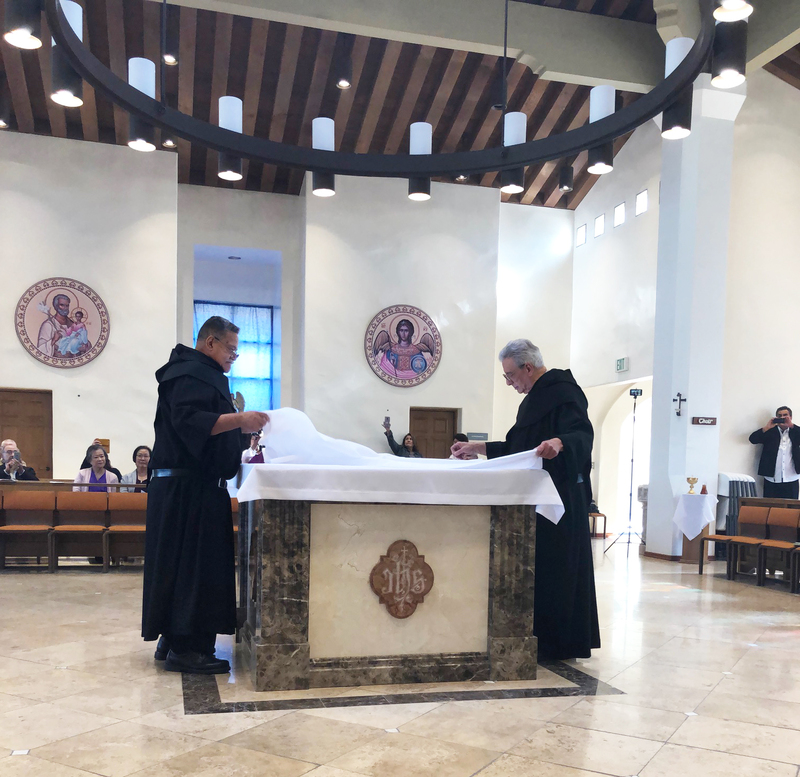 Motivated by his good esthetic taste for churches, chapels and liturgy, Brother Anthony Torretti started looking for area marble fabricators and installers to ask for estimates. We went into a marble business with cardboard prototypes and all. 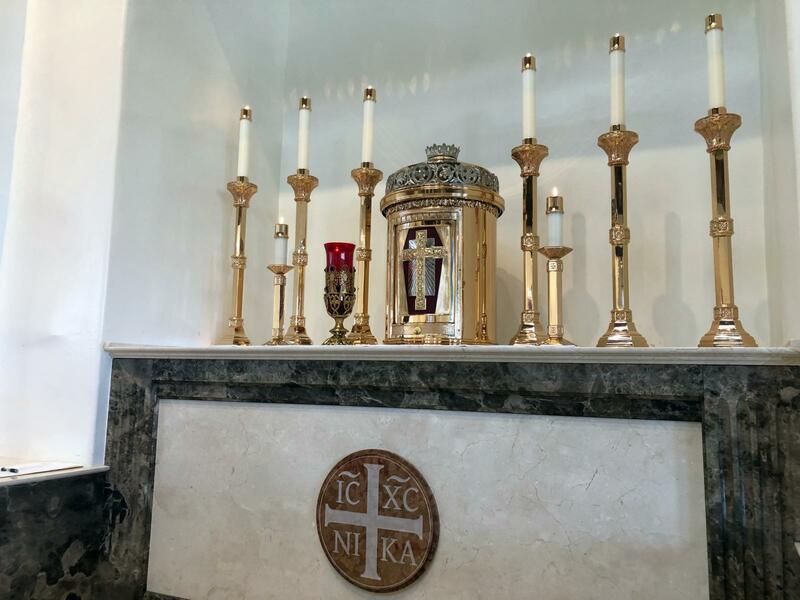 After many meetings, projects multiplied as we considered renovating the altar, the ambo, the side credence tables, the entrance altars for the saint statues, etc. Once the final estimate was presented by the local marble workers and permission was granted by our vicar, Fr. Marlon Beof, the drawings immediately started to become a physical reality. 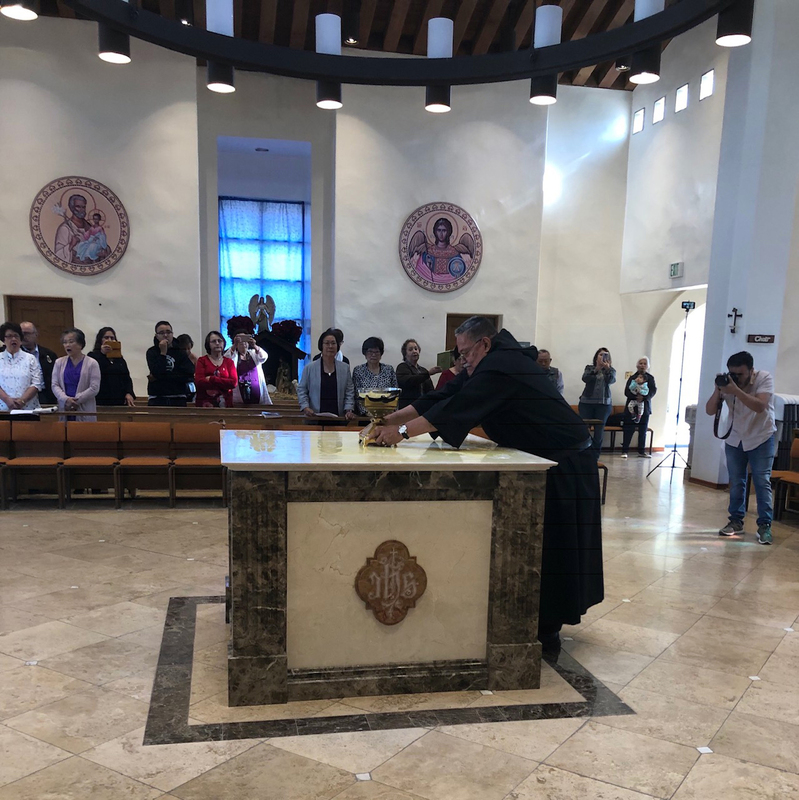 After many months since the first contact with the marble working company, the day came to celebrate the dedication of the altar. 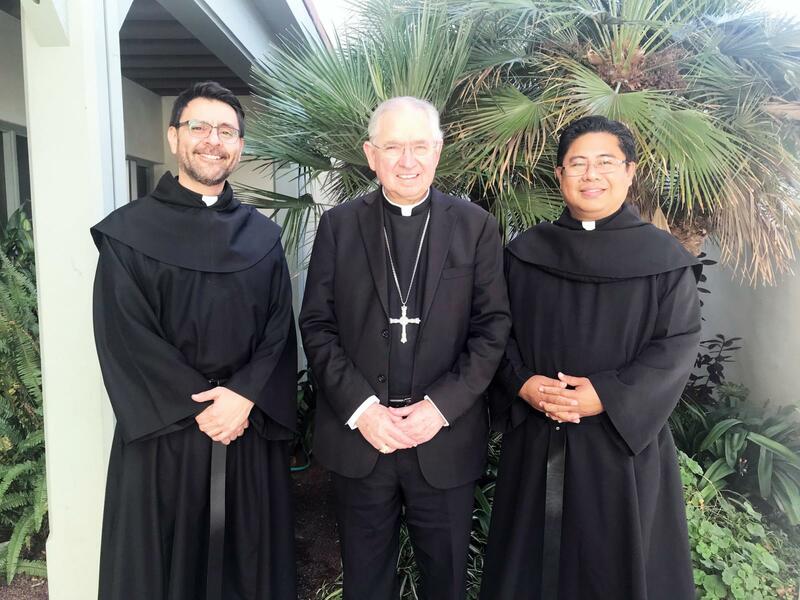 Most Reverend Archbishop Jose Gomez, of the Archdiocese of Los Angeles, accepted to honor us by accepting to preside the liturgical celebration on Thursday December 20th at 11am. 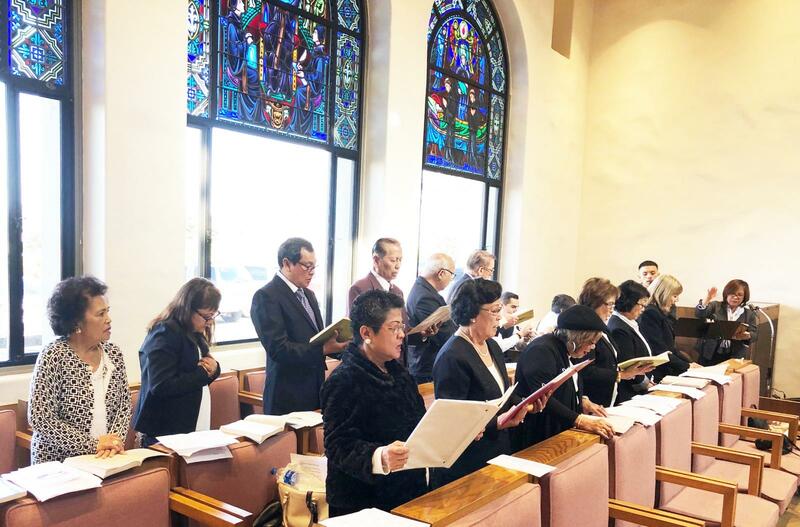 A couple of weeks before, Brother Anthony presented the list of hymns for the liturgy to the St. Ezekiel Guild Choir who excellently led us in praise together with guitar, keyboard and trumpet. 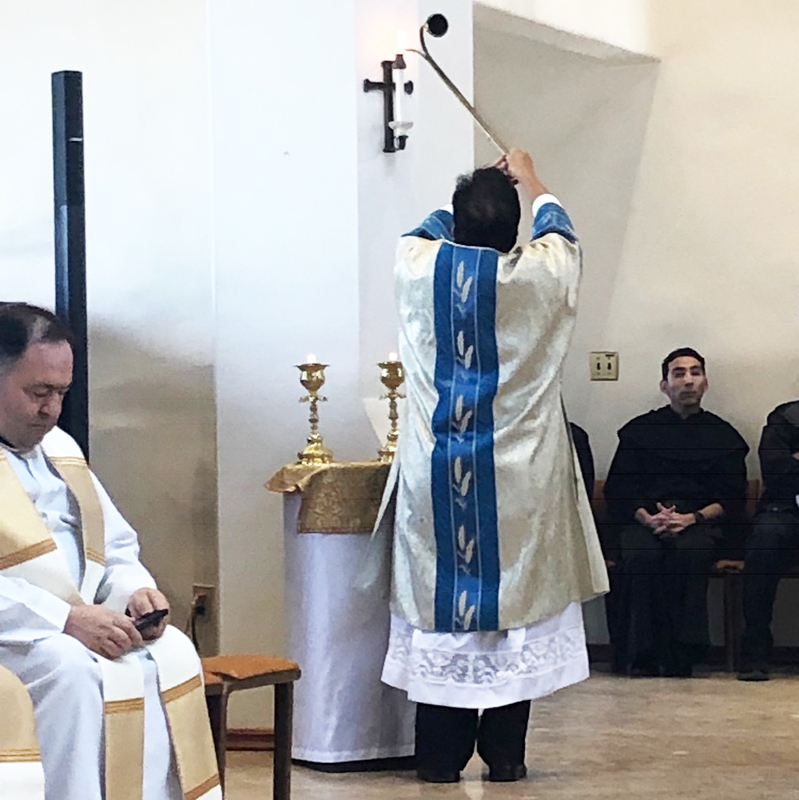 Practice was done a day before with members of the community and aspirants, invited deacons, lectors, altar servers, and members of the OAR Secular members who participated in the offertory and the cleaning of the Chrism Oil off the altar after the consecration. 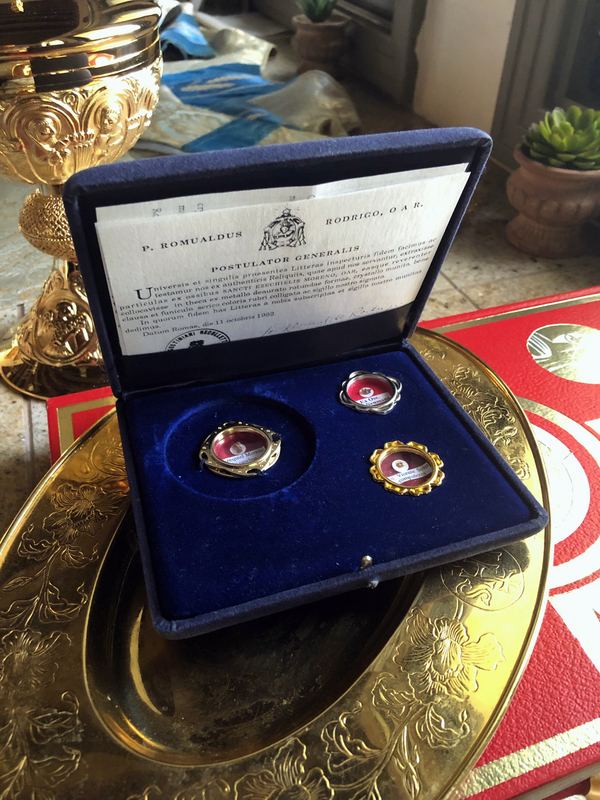 The marble workers were also present to place the marble slap that covered the slot where the relics of St. Ezekiel Moreno, St. John Neumann and Blessed Vicente Soler were deposited. 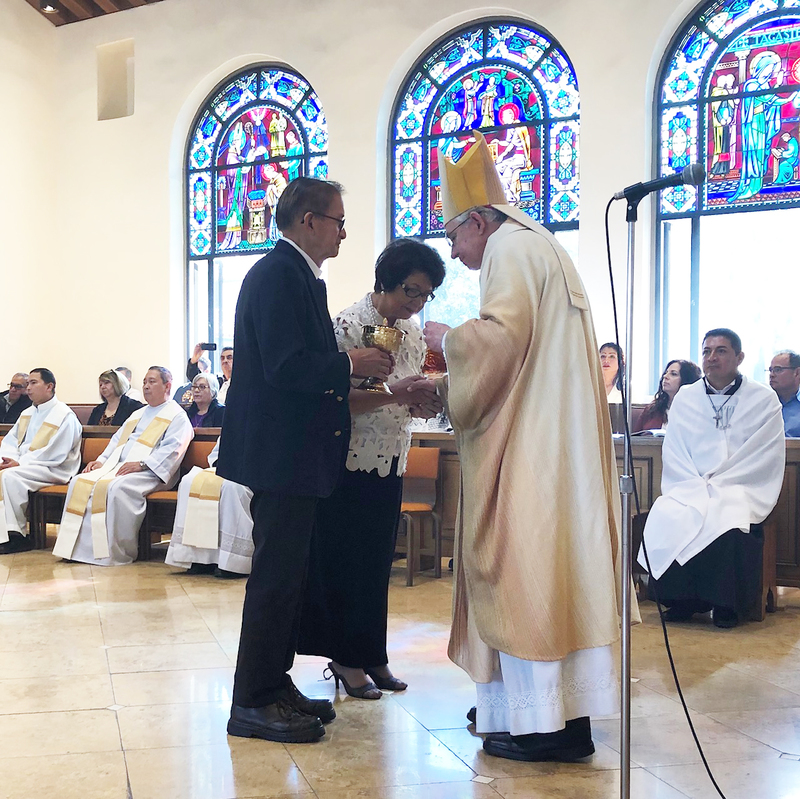 Archbishop Gomez, in his homily, spoke about how what is consecrated on this consecrated altar, must awaken our awareness that it also renews our own baptismal consecration as we enter in communion with Christ present in His Body and Blood. After the liturgical ceremony, everyone was invited to share lunch in the friary dining room which was beautifully decorated by the aspirants and their formator, Fr. Fred Abiera. 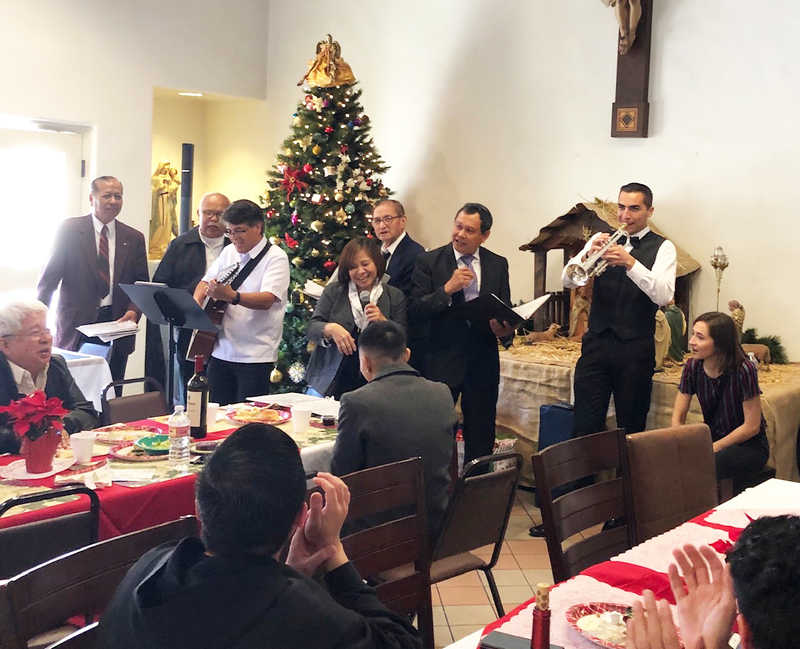 While everyone enjoyed their dessert, the St. Ezekiel Guild sang Christmas Carols in English, Spanish and Tagalog for everyone to sing along.